Brand new museum exhibits are now open to the public at the park visitor center. These exhibits are highly interactive and feature the latest technology, gripping personal stories, museum artifacts, and multiple language support. Access services can be arranged for public programs by contacting (671-333-4050 or email) the museum in advance. A free manual wheelchair loan is available at the T. Stell Newman Visitor Center on a first-come, first-served. basis. Verbal description tours can be arranged by contacting the museum with two-weeks advance notice. 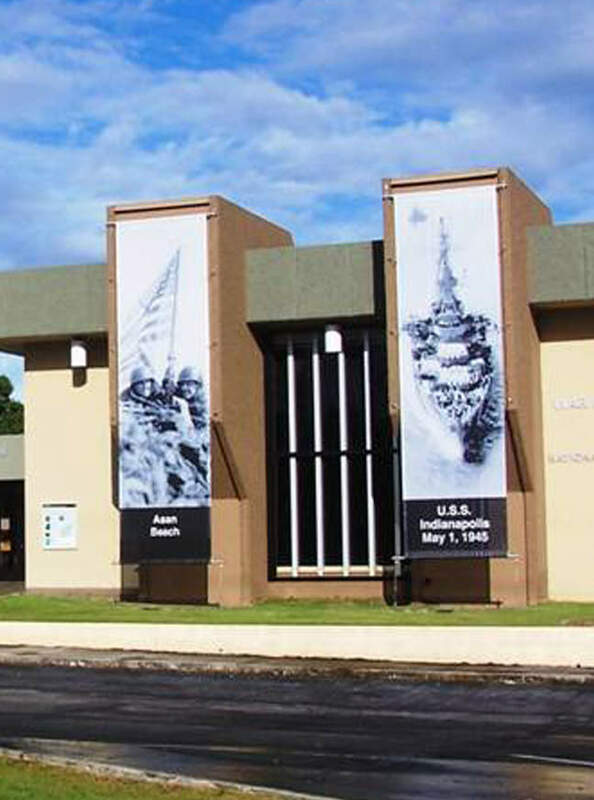 In addition to the exhibits, the visitor center theater plays our compelling 10-minute movie, The Battle for Guam, in five languages (English, Japanese, Chinese, Korean, and Russian). For more information on the new exhibits, please download our exhibit guide or call (671) 333-4050.